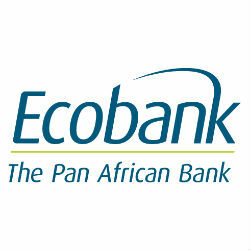 The leading Pan-African banking group, Ecobank has announced its growth for 2012 and the figures represent Ecobank’s zealous financial performance in its 25 year operation as a banking conglomerate. According to Ecobank Financial Report, Ecobank total revenue for 2012 peaked an impressive 1.8 billion USD with 348 million USD in profits. The financial growth of the bank is highlighted by their net income advancing 39% to 286.7 million USD from 206.8 million USD in 2011, pre-tax profits rose by 25% to 348 million USD from 277.4 million USD in 2011 and revenues hit staggering growth of 46 % to 1.8 billion USD from 1.2 billion USD in 2011. Ecobank Tanzania has commenced operation in Dar es Salaam since 2010 and has made major strides in East Africa’s emerging market where the banking sector is one of the most competitive in the region. In a recent interview with Ecobank Tanzania Managing Director Enoch Osei-Safo, he shared insights on Ecobanks role and success in the Tanzanian market.